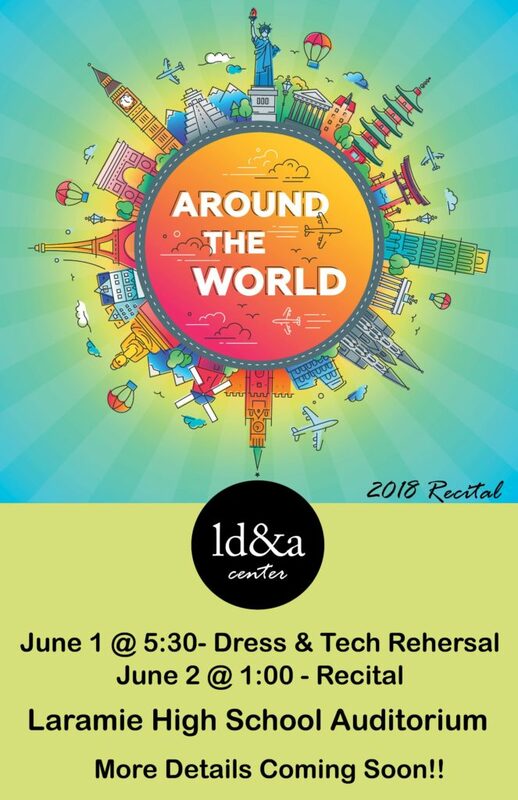 Rehearsal, Friday June 1: 5-5:15 pm drop off at green room in costume with hair & makeup done! Rehearsal begins at 5:30! Recital, Saturday June 2: 12:15-12:30 pm drop off at green room in costume with hair & makeup done! Recital begins at 1:00! Call The Wild Rose Flowers & Gifts at 742-7616 and ask about their presentation bouquet specials for our recital! $10 & $20 options, and they’ll deliver your prepaid order to the LHS Lobby for you before the recital! They’ll also have some on hand to buy, but supply will be limited – prepay will be your best bet! They’ll also have some paper order forms available on Saturday at the recital! Order forms are available during photo time all week – and you can always ask us to save a form for you! Drop off time: 5-5:15 at the green room in costume and with hair/makeup done! Rehearsal begins at 5:30! Drop off at green room with hair/makeup ready and in costume!